It is so cold that even the sun is freezing her buns off. 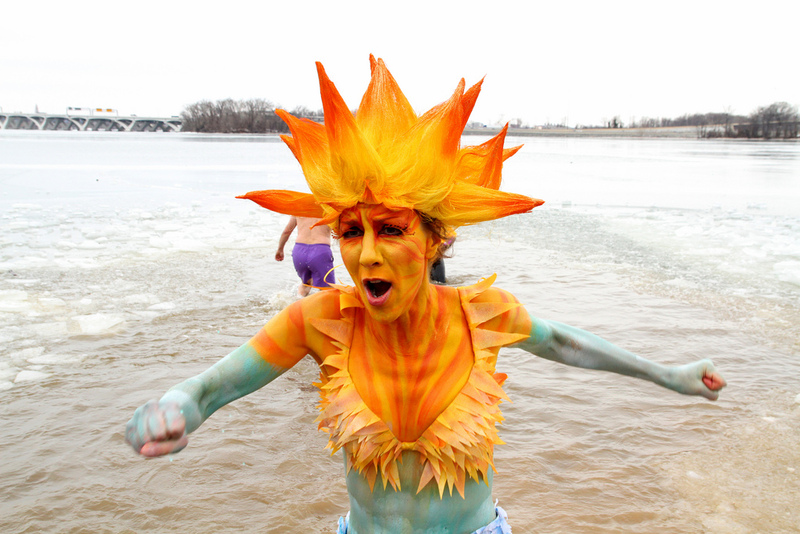 Photographer JY O’Reilly caught a woman dressed as the sun taking a dip in the Potomac for the “Keep Winter Cold” Polar Bear Plunge. We hope the warm-themed outfit made the dip less treacherous. 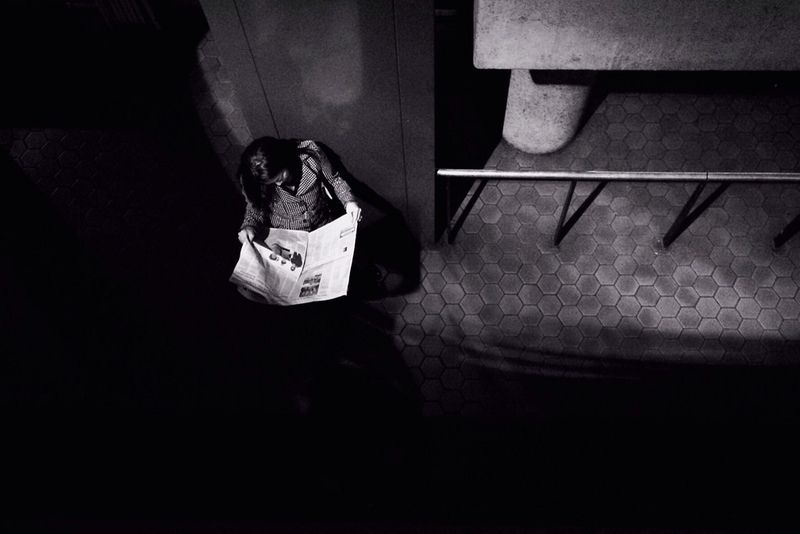 This well framed image from Noe Todorovich transforms an everyday Metro scene into a beautiful photograph. The light is focused exactly where Todorovich wants the viewer to look, and the lines from the railing and the wall all steer the eye towards the subject. 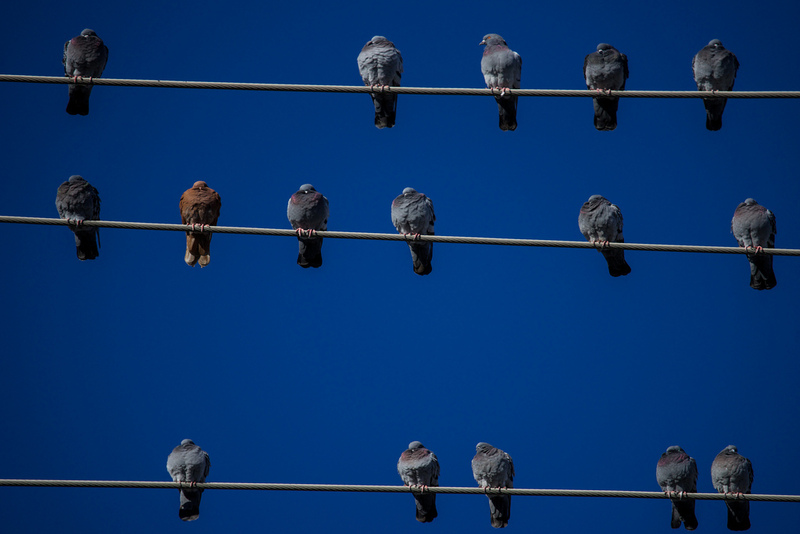 The photo makes waiting for a Metro train look serene. It’s not every day that you find a woman in work out gear covered in post-it notes walking in front of a man and woman riding the same wheel chair. But, if you follow the work of Chris Suspect you know that indescribably odd moments like this are his specialty. He is the truffle pig of weird street photography. 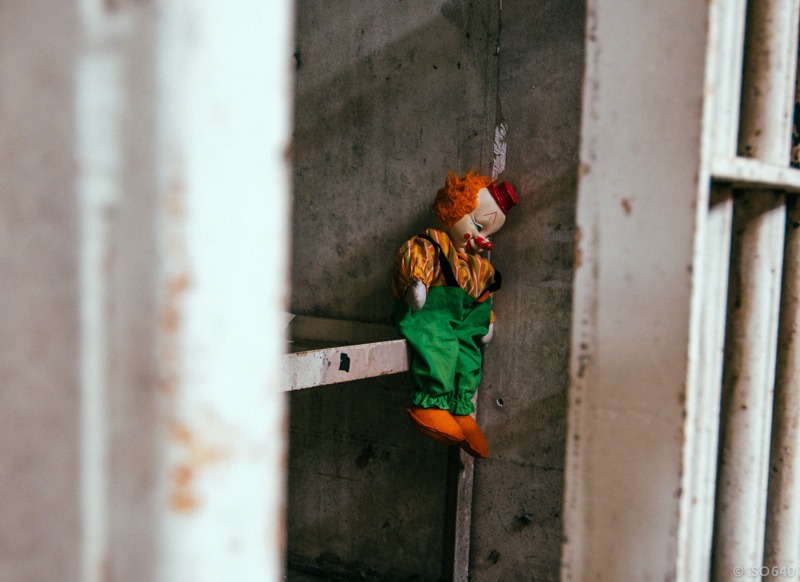 The old Lorton Prison may be closed, but by the looks of this photo from Jen Huls it is still a terrifying place. Being in a cell would be scary enough, but having to share it with the future star of the IT remake would put anyone over the edge.